Mixed media resin on cradled wood panel. 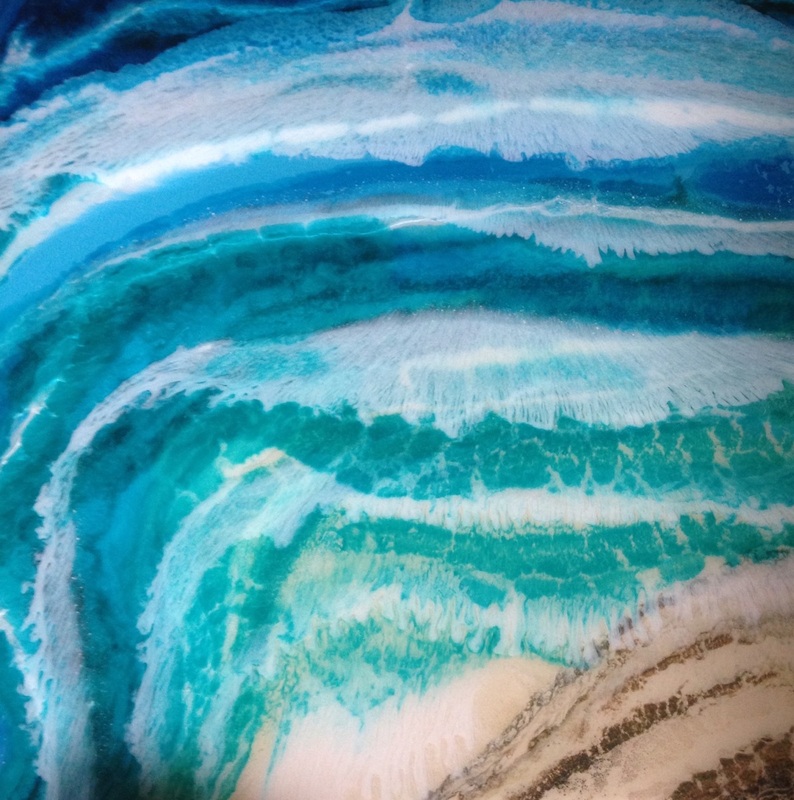 This resin piece has beautiful depth, reminiscent of the ocean. This painting was inspired by the many Kauai summer beach days I have spent floating in the crystal clear warm water.